If I were to describe my 2018 in one word, I’ll say Destiny-defining. God has been so faithful. He turned my life around in 2018. December 2017 I knew 2018 was a loaded year, I prophesied “Year of Blow” lmao I was just high, I couldn’t contain it, team Tribe had to bear my hyperactivity. It was so sweet that when I got to watchnight service, the choir was singing about how we were going to blow. Lmao did I hear you say confirmation. Music We don blow, we don blow, blessings overflow. God’s ways are not man’s. Sometimes we embrace certain projects because they seem good, we believe God is in it, whereas we left Him a long time ago. God’s mercy found me in the midst of my self-made chaos. It took God the first half of 2018 to restore me to factory setting. I’m very strong willed when it comes to making my plans happen, sadly, this time I was going in the wrong direction and I needed to be saved before I wreck myself. God had greater and better plans for my life than I was embarking on. I can laugh about it all now but when I was going through that fire, it was very hot. It shook me but it only made the dead leaves fall off my life. The shaking was so essential. In retrospect, I can say God is a master planner. He pays attention to details and no event of our lives happens by accident. One of the things God told me about 2018 was traveling, I thought I was going to be in Canada by now. I had set everything in motion. Lmao I was going to self-destruct. I’m not saying going to Canada is bad. However, I travelled a lot through Nigeria. Sokoto, Ogun, Abuja, Oyo et al several times also. It was one of the trips to Sokoto that changed my life. Just like Jonah, God sent His prophet to tell me to stop running from my destiny and my God given assignment. Sad to admit, I got distracted by the good things of this world, dreaming and planning my blowing strategies when God already sort it out but then, I already left Him a long time ago. I started using human effort to do what I had dreamt when I was meant to just submit to God’s will and strategy. To just rest in His finished work before the foundations of the earth. It took about six months of confusion, pain, and sadness to realign myself to God’s will for my life. After the encounter that turned my life around, God reminded me I was chosen, I had always known but I forgot, maybe. I was a special one in His eyes; I was precious and important to His plan on earth. I had great worth to Him. I finally submitted and God began to rebuild me, it was no coincidence I felt like cutting my hair, starting afresh. The metamorphosis took place. I literally went as low as low could be and I felt God build me up himself in the classroom of life. Just like David in the cave, Joseph in prison, Job in affliction, they became my companion in destiny literally. He wanted to have my full attention so His provision wasn’t a problem. He had every aspect of my life in control. God transformed me and I pray He transforms you too. God redirected my life. He gave me a fresh sense of purpose and destiny. Vital lessons I learnt were: the man is to be well grounded in God. Must know his God given purpose. Must have a solid relationship with God. Can help me fulfill purpose as much as I would be his helpmeet. He must be able to cover me spiritually. He must be responsible. Spends time with God. Knows how to pray. He must be willing to lay down his life for me cos we are to exemplify Christ as He did to the church. He must know his purpose and destiny. In this year, I heard God clearly. I would be praying and God would give me instructions about someone or a situation and I would obey, and it would be the exact way God had told me. He used me to train leaders and set people into their destinies as He helped me know Him more. I had several encounters; my relationship with the Holyspirit was transformed. My life changed. God told me the specific assignment He wants me to carry out on earth, and gave me directions and set me on that path. Although, the events that happened wouldn’t make sense to mere mortals, God’s hands were written all over it. In all, 2018 was a great destiny-defining year and I just pray you live and not just exist. I pray you know your why on earth, I pray you partner with God to achieve His heart desires on earth. I pray you encounter God. I pray you have a date with destiny. I pray you die and God says “Enter into your rest faithful servant” not that He would show you what you would have been. I pray you submit your will and plans to God and stop trying to figure out life when God said it is finished. I pray you love. I pray you live. I pray you flourish. One of the things I loved about 2018 was that, I was fearless, I truly lived than I’ve ever done, I left my comfort zone, I explored, I laughed, I tried out new things. I use my annual 31Days 31Voices entry as a sort of journal to see how I’ve transitioned through the years, so I’ll add the special moments of this amazing year. I travelled by air for the first time and I went on to do so several times over. Ahh, my sweet mootheer I no go forget you! My heart leaps as I type this even. This love is too much ooo. I love you Dr Orenuga, you’ve been a MOTHER to me!!! To think I was scared of opening my heart to you in the beginning. Through those dark nightsss, although you were not around, your voice and words were so soothing and I could feel how much you wished you were with me. Your kind is rare. You’ve accepted me as your own, you think about me and look for ways to help even before the need arise. You’ve opened almost all you are to me. That is so great a trust you’ve endowed me with and I don’t take the privilege lightly. Your love for God is palpable and I bless God for bringing you into my life. You’re a devout reader of my blog and you support my ideas. When we out, you make me feel at home. You love me, I know it, I feel it, I see it and I love you mama, beyond words. I can call you mum and not be afraid of getting hurt! Yusuf omo Wahabi. You know I say somethings and I wonder if you’ll jump out of this boat but you only stick closer. What more can anyone ask for in a friend. Thank you for making 2018 fantabulous. Thank you for ensuring I went out on my birthday, it was so much fun. I’m smiling thinking about it now. Thank you for pushing me to start vlogging and for helping me find a venue for Perry’s Tots Meet & Greet, Chairman Planning Committee. We still had our creative and fun hangouts; Taruwa, impromptu movie outings etc Glad we finally achieved the great feat of attending AG’s show. Tokunbo. You’re one of my greatest additions of 2018, I bless God I met you. You changed my life and I love you. I did a course in the art of decision making early in the year when my head was filled with all the options of all I could be. Hahaha I am grateful for the Mentorship for Life platform, we’ve all grown and are still growing as a group. We’re no longer a group to me, we’re now family. I thank God for Pastor Biola for continually pouring into us. I read this year o, no be small. I now accept that I like book. I lost count of the number. Weddings. My friend turn sister got married! Faderera is one of the kindest human I’ve met on earth, no kidding. She can give anything to make one happy and I was so glad and honored to be her chief bridesmaid. Fade told me I would be her chief bridesmaid when I was in 300Level! Hahaha This was one wedding I was looking forward to and I enjoyed every part of it, from planning the wedding with you, going to Eko to pick asoebi, to planning the shower and doing other things that came with the role. I was so focused on seeing you happy throughout your big day that one of my admirers at your wedding had to tell Dotun to talk to me but it was a day I had longed to see and I never wanted to see a frown on your face, I wanted it to be perfect for you just like I would want mine to be. Our friendship has broken all barriers, and distance or life cannot even beat this. You’ve got an amazing heart and I love how you desire the best things of life for me. I pray we live long for my children to call you big mummy and they come to visit and spend vacation with you and vice versa, I hope our husbands be good friends. I pray our family bond never break. I pray we break boundaries in this world and our names be written in the face of time, that our legacy live long after we’ve left planet earth. Thank you for buying me the ticket to AG’s show. Olorunwa, my adopted big sis! Hmmmmmmmm…. Let me not open our secret out here but THANK YOU for 2018! You stood by and with me. You held my hands and taught me to walk again when I forgot how. I believe God has specially gifted you with compassion. I pray God make your heart desires come to pass in the new year beyond your mind can conceive, thank you for opening your home to me. This year I came to appreciate family like I’ve never done. I spent time with family and one of my best memories are those gisting with my grandma; she is just so hilarious and easy to whine. I enjoyed asking her so many questions about my history. History is something I learnt a lot cos I realized I’m a link in the chain of a prophetic progression of the Ajayi lineage. I became much more self aware, I stared my insecurities and fears in the face and overcame by the help of the Holyspirit. I am very in sync with my body, soul and spirit and most importantly, my totality and desires are in sync with God’s. I quit taking Coke in January and quit soft drinks in October. I am about healthy living now. I will start working out in 2019. I drink water now and I’m just so excited when my urine is colourless. I replaced soft drinks with fruits and water, I see the difference in my skin. My natural hair journey is going well, at this junction I have to say a special shoutout to sheabutter, you’re bae my darling. I found my long lost cousin! Toyosi Ajayi. I joined Mentally Aware Nigeria Initiative Training team, I had Perry’s Tots Meet & Greet which was lit! I got certified in Global Health with the University of Washington. 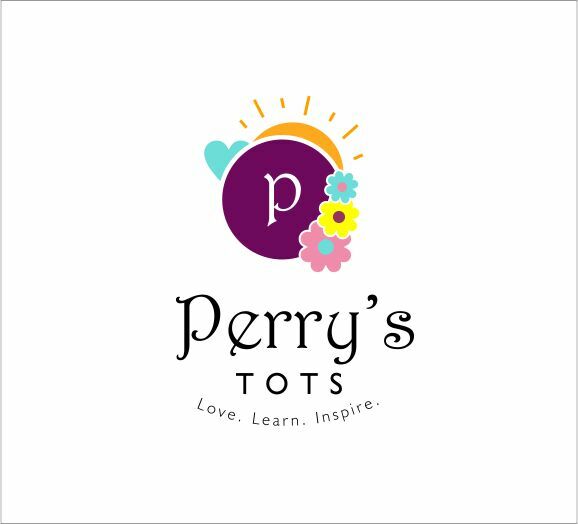 I started selling Perry’s Tots Tshirt. I started Vlogging. I supported dad’s business. I published two of my books on Okadabooks; Almost a Bride & Love Through My Eyes. Thank God for CLASSIIIC 2018 and Pastor Tunde Bakare. The highlight of my year is the depth of God and spiritual growth I accomplished by the help of the Holyspirit. I can’t trade it for anything, what He taught me can’t be learnt in any school, no MBA or program can endow me with the knowledge I have. It can’t be bought, it can only be experienced and for this I’m grateful to God. 2018 had to prepare us for such boundless bountiful unlimited explosive blessing that 2019 is about to unleash on us! Whatever we went through in 2018 was to prepare us for 2019! PS: If you finished reading this, you just read five pages of my 2018 story, I love you too. Pingback: Happy New Year 2019: January Review.